The Newport Jazz Festival has been a destination for live jazz for 61 years. 2015 is the 60th Anniversary of Miles Davis at the Newport Jazz Festival. 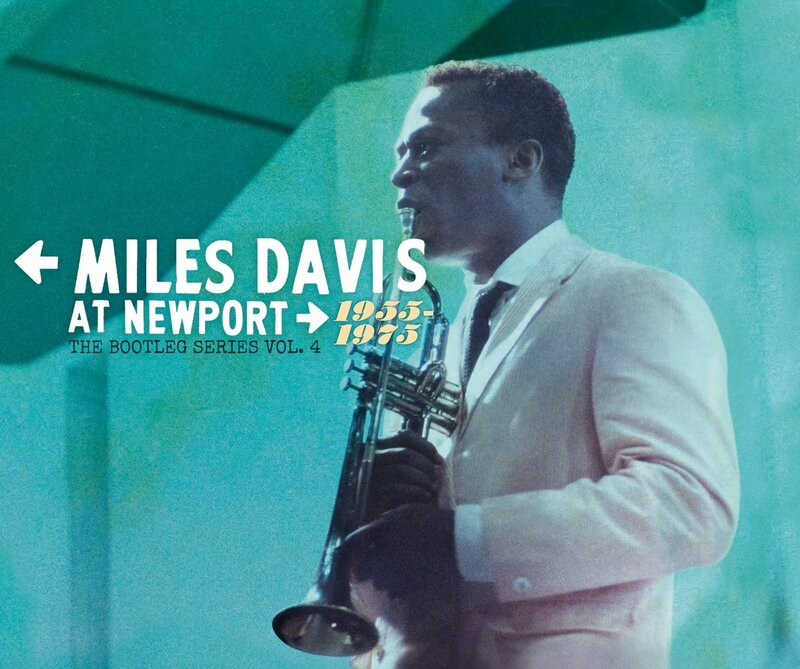 In 1955 Miles Davis played a solo on "Round Midnight" at the Newport Jazz Festival, which catapulted his career and signed him to a major label, Columbia Records. 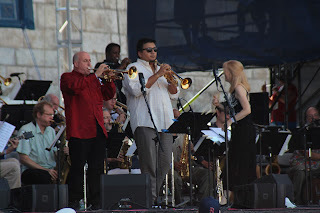 Today was a spectacular second day at the Newport Jazz Festival. I had the good fortune to see the Maria Schneider Orchestra, Jose James, Ashley Kahn's Miles Davis talk "Miles & Newport" with special guest Jack DeJohnette as well as the Helen Sung Quartet. 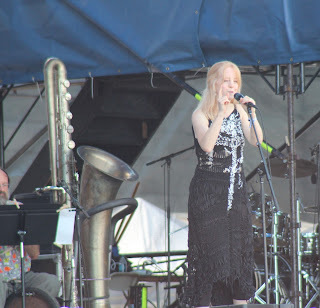 The day of music started off with one of my personal favorites, the Maria Schneider Orchestra. 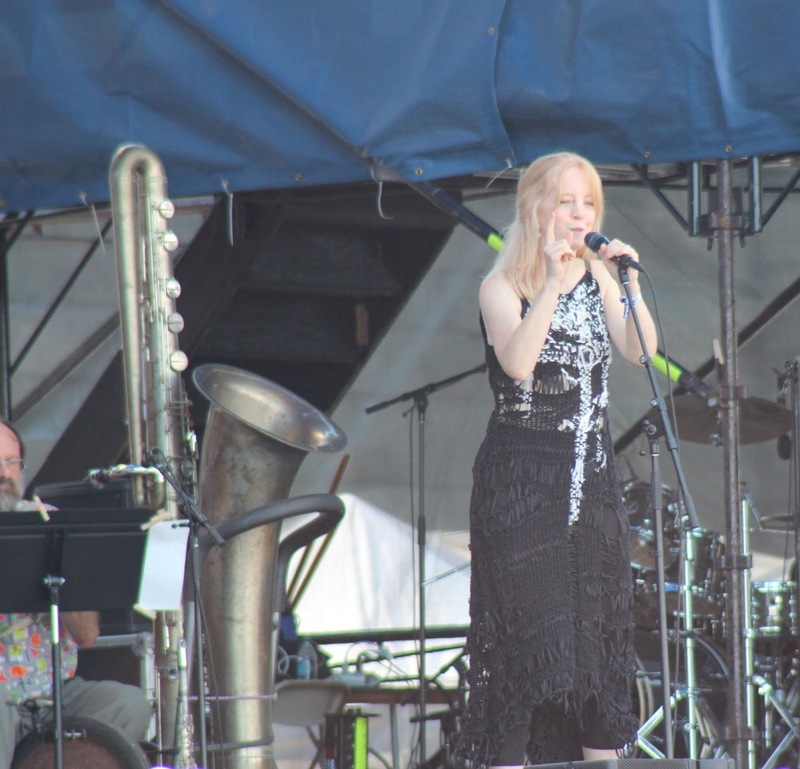 Playing pieces from her new album "The Thompson Fields", composer Schneider showcased influences from her childhood home in Minnesota as well as her love of nature and birdwatching. The stunning piece "Home" was dedicated to Newport Festival founder George Wein, who makes the festival 'home' to so many musicians and concert-goers. 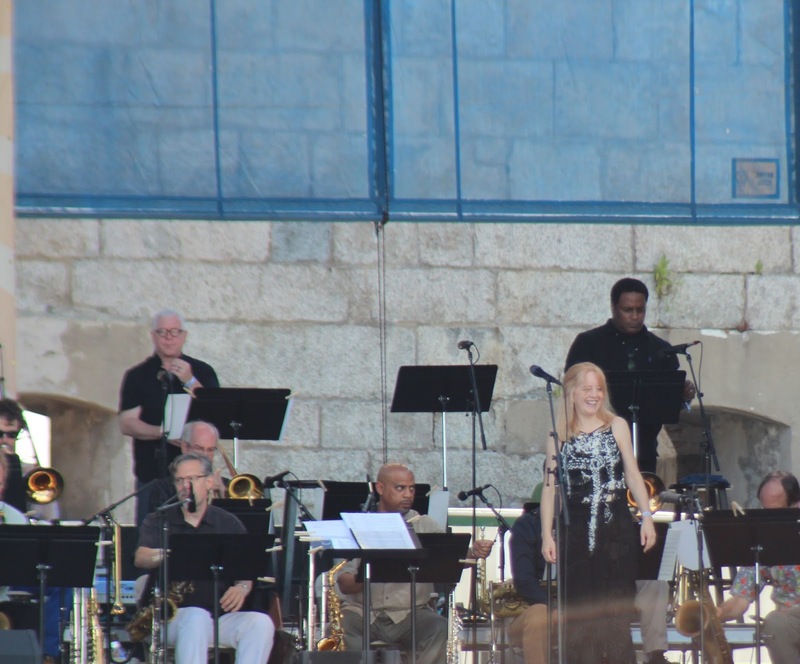 Throughout her set, Schneider conducted the orchestra through the dance, push and pull of the music lending to her characteristic lush orchestration and long, flowing, melodic phrases. 2015 is the centennial year of Billie Holiday, or Lady Day. Vocalist Jose James celebrated this landmark year by paying tribute to a vocalist that influenced so many with songs such as "Fine And Mellow". James' arrangements of these songs were modern, and brought R&B and hip hop elements to standard tunes. James used the lyrics rhythmically by repeating the words in different orders, shapes and phrases. This element of rhythmic integral to his melodic line, in addition to his stellar rhythm section, allowed his set to really connect with the audience. 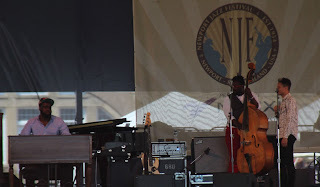 To help celebrate the 60th Anniversary of Miles at Newport, as well as a new CD box set "Miles At Newport", the festival implemented a new stage, "Storyville". Newport Jazz Festival founder and producer, George Wein, opened Storyville Jazz Club in 1950 in Boston's Copley Square Hotel. A nearly 200-seat room frequently filled with dynamic artists and dedicated jazz fans, it went on to present some of the world's most renowned jazz artists, including Duke Ellington, Dizzy Gillespie, Lester Young, Louis Armstrong, Billie Holiday and Miles Davis. 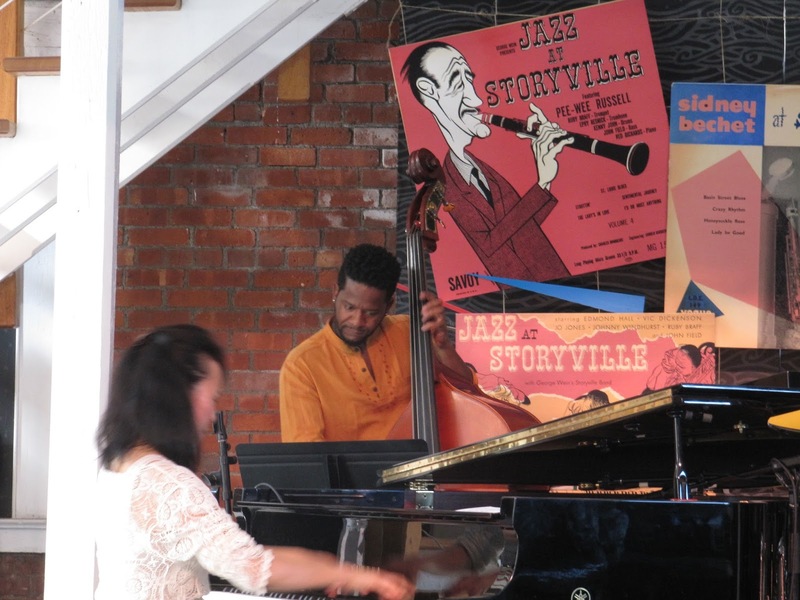 Taking inspiration from his past, Wein's new Storyville stage is an intimate setting to hear jazz within the crowds of the festival. Seating around one hundred to one hundred and fifty people, the Storyville stage hosted two amazing events that I went to: Ashley Kahn's Miles Davis talk "Miles & Newport" with special guest Jack DeJohnette as well the Helen Sung Quartet. The new box set "Miles At Newport"
Ashley Kahn moderated the talk on "Miles & Newport", with several guests from the new box set including co-producer Steve Berkowitz, packager Nell Mulderry and even drummer Jack DeJohnette, who is featured on some of the tracks from the late 60s and 70s. Several excerpts from the collection were played during the hour long talk as examples, such as "Miles Runs The Voodoo Down". Berkowitz explained how the tapes for the box set were found everywhere from private collections to the Library of Congress. Uncovering all of these new tapes and sifting through them for material was a challenge, as the quality of the old tapes may not hold over time. However, a few miraculous finds in pristine condition allowed music from 1955 to sound like it was recorded yesterday. Mulderry shed light on how the photographs were found, and how she had to research who was at the festival during the years Miles played in order to find photographs. Mulderry also shed light on how exactly the company chose to market this new box set. Instead of providing nostalgia, the "Miles At Newport" is more of a series of historical vignettes to capture where Miles was musically each time he came to Newport. DeJohnette shared some of his experiences with the Miles Davis band at Newport, providing insight and anecdotes on how Miles started his sets and prepared for the festival. Miles would not call songs, instead he would play the first few notes of the melody, and the rhythm section would create a cushion underneath him from that. When you listen to these recordings from 1969, are you listening as a distant observer, an audience member, or as a critical artist thinking about how you were playing in that moment of time compared to now? 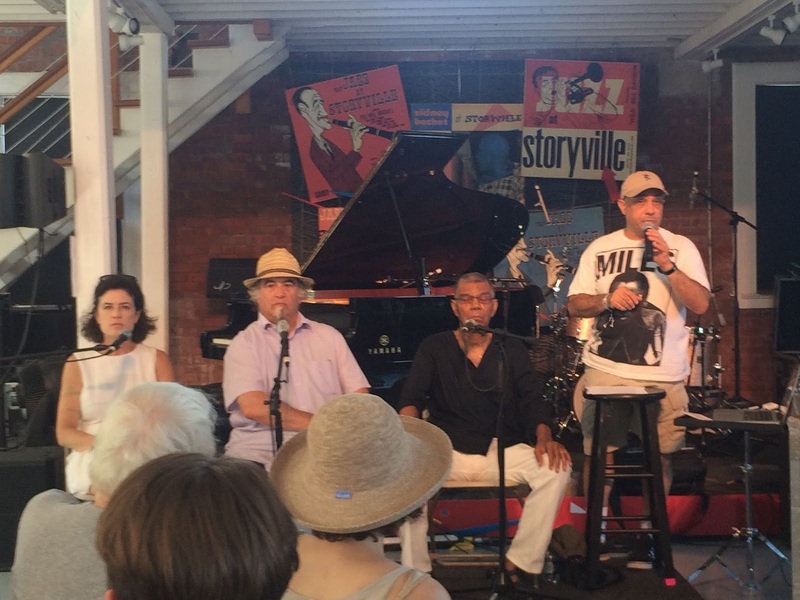 DeJohnette graciously explained that he listens as an audience member and distances himself from being self-centered or critical. He wants to hear the unity of the band and enjoy the energy, rather than be bogged down by 'did I play this correctly?'. This creativity could come from any profession. A chemist, a musician, a writer, a painter - we are all celebrating life in our own way...Just as the sun helps flowers grow...life creates more life. Pianist Helen Sung paid tribute to her hero, Thelonious Monk, in her Storyville set with songs such as "Bye-Ya" and her original composition, "Brother Thelonious". With a classical piano background, Sung encompassed a massive amount of technique, allowing her to add flourishes and ornaments to the lively melodies. Rather than copy many of the composers she is influenced by, Sung brought forth her own personality, tone and touch to the lines letting the music speak for itself. The mix of the massive main stage energy with the intimate Storyville stage provided a duel festival experience that not only showcased a variety of settings, but a variety of musical events. Read about my adventures at the 2014 Newport Jazz Festival: Day 1, Day 2, Interview with Shelly Berg. Please visit my jazz poetry blog, "Without a Poem", where I improvise a new poem everyday! 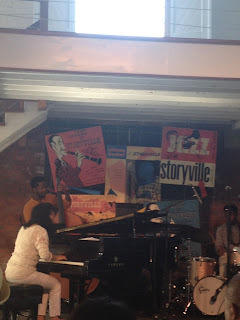 I also share jazz music and art there, so stay tuned! 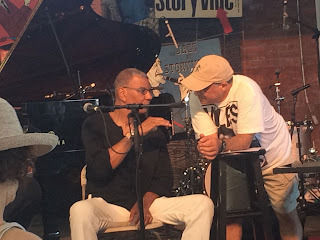 Hearing Jack DeJohnette's words inspired my haiku, "Life creates more life." 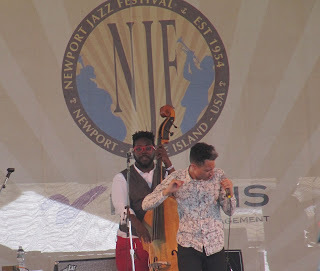 More experiences at the 2015 Newport Jazz Festival are forthcoming.